7 Easy Steps to Remove Pet Stains-Without Removing Your Pet! 7 Easy Steps to Remove Pets Stains – Without Removing Your Pet! Want to know how to clean and remove those stubborn pet stains without having to get rid of your pet? After 40 years of owning my own carpet cleaning service it still amazes me how much love and affection people lavish on their pets. Which is why for most people, getting rid of their untrained puppy or 18 year old incontinent Siamese cat isn’t an option. No matter what type of pet you have they all have one thing in common…they all have accidents. 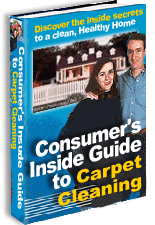 Leaving behind hard to clean urine odor or vomit stains on your carpets or furniture. Age- Younger pets haven’t ‘figured it out’ yet and older pets just can’t help themselves. Illness- Often medications can cause pets to lose control unexpectedly. Attitude- I’m sure you have a, or have a friend (wink, wink), pet that thinks it can do whatever it wants – like pee in the corner of the living-room just to watch you clean up its mess. Neglect-When pets don’t get the attention and love they deserve, just like kids, they’ll act out. So cleaning pet stains can be prevented with a little love and TLC every now and then. So, what can you do when you see kitty vomit on your carpet or new couch? First, don’t lose your cool. Carpets and furniture are pretty resilient with most pet stains, as long as you don’t add to the problem. Get to it a.s.a.p! You have a 50% better chance of removing pet vomit or urine when it’s fresh. Blot and/or remove any physical excess with an absorbent towel by standing on the towel. Test any chemical you intend to use in a hidden area first to make sure it won’t discolor or damage the surface. Apply spotter and work from the outside of the stain in to avoid spreading. Again, blot, don’t scrub. Strike with flat face of a spotting brush if needed to help break up the stain. Rinse chemicals out with water and blot area dry. Lie a thick pad of toweling over the affected area and weight it down with books, weights, anything heavy. Leave it overnight. We all love our pets. With great joy and love they provide comes a stubborn stain or two. But cleaning those spots and getting rid of that odor can be a small price to pay for the happiness they provide. So before you get rid of your pet, follow these simple steps to get rid of those pet stains first. If you need help, our phones are always open should you need a quick tip or solution about getting rid of any type of tough stain – pet induced or otherwise. Call us at 800-432-2340 or contact us here.